Coup is the behind-the-scenes story of an abrupt political transition, unprecedented in US history. Based on 163 interviews, Hunt describes how collaborators came together from opposite sides of the political aisle and, in an extraordinary few hours, reached agreement that the corruption and madness of the sitting Governor of Tennessee, Ray Blanton, must be stopped. The sudden transfer of power that caught Blanton unawares was deemed necessary because of what one FBI agent called "the state's most heinous political crime in half a century"—a scheme of selling pardons for cash. "The individual stories of those government officials involved in the coup—each account unique, but all of them intersecting—were scattered like disconnected pieces of a jigsaw puzzle on the table of history until the author conceived this book. Perhaps because it happened so quickly, and without major disagreement, protest, or dissent, this truly historic moment has been buried in the public mind. In unearthing the drama in gripping detail, Keel Hunt assures that the 'dark day' will be remembered as a bright one in which conflicted politicians came together in the public interest." In his early career, Keel Hunt was a reporter, editorial writer, Washington correspondent, and City Editor for the Nashville Tennessean. He left the newspaper to join Lamar Alexander's successful campaign for Governor of Tennessee. Following the 1978 election, he was appointed Special Assistant to the Governor, serving as a speechwriter and coordinator of the Governor's Policy Group. Since 1986 he has been a speechwriter and public affairs consultant. "There is so much to enjoy about this book whose title of Coup, connoting anarchy, violence and warring factions, ironically relates a success story of political rivals in transitioning power. It is a testament to the character of the people involved and also a testament to the can-do state of Tennessee." "The story of Alexander's early inauguration—the only one of its kind in American history—is told with page-turning intensity." "...a deeply researched, highly engrossing, minute-by-minute account of the day a bunch of Democrats ousted their crooked governor and installed a Republican before his scheduled inauguration." "A recommended read for anyone interested in Tennessee history or politics." "History can be opaque, but not this history: in Keel Hunt's capable hands a critical but often-overlooked chapter in American politics comes to vivid life. In the last days of a Tennessee governorship, the Democratic incumbent, soon to depart, began selling pardons, fundamentally betraying the public trust. A dynamic young Republican governor-elect, Lamar Alexander, came into the breach as Democrats reached out to him to take office early and save the state further chaos and embarrassment. And so he did. Now, in this expanded edition of Hunt's excellent narrative, we have, for the first time, Alexander's own long-missing recollections of these tense days. The result is a brilliantly evocative story of crisis management—a story everyone interested in American politics and power should know." "There was a time when government was willing to act. Keel Hunt was a key player on one such occasion in Tennessee and tells the story with elegance and precision. This book tells about government doing what's needed—quickly, without hand-wringing and without seeking partisan advantage. Every elected official in America should read it." 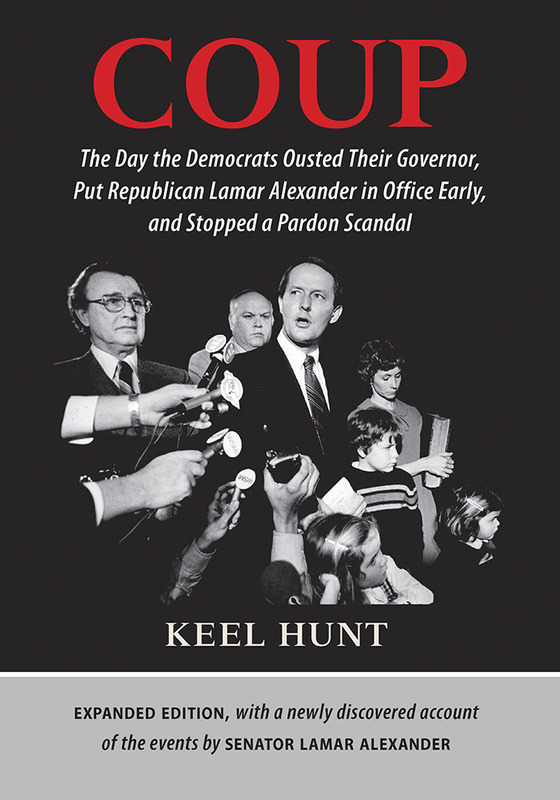 "Keel Hunt gives us a fascinating account of an important moment in Tennessee history. It's a story of a time when Tennesseans of both parties came together to resolve a crisis that had rocked the state."